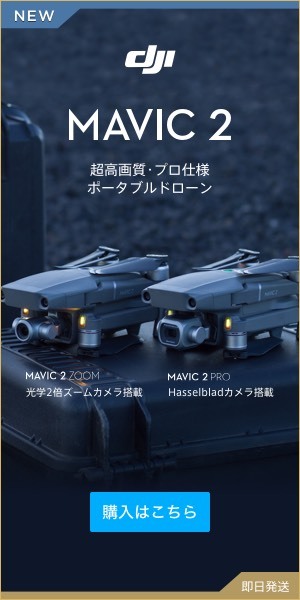 In “Editor” installed in the application of DJI GO 4, images are accumulated in the album each time Drone ‘s aerial photographing is finished. By combining these images, you can create original images. Since this function is very excellent and it is very easy to create a digest type aerial shoot movie, if you get accustomed to the operation, make a movie “Saku!” And share it on Facebook, Instagram, youtube etc. You can do it. This time we will show you how to edit video using DJI GO 4 application. 1: Open the DJI GO 4 application. 2: Tap “Editor” at the bottom of the screen. 3: Then the album is displayed, you can see that the images taken on that day are being stocked automatically. 4: By tapping the “Import” button on the upper left corner, you can transfer data such as movies and photos to “SD card” etc. 5: To create an original movie, tap the “Create” button at the center right of the screen. 6: Then it will move to the next screen, so tap “Create now” at the bottom of the screen. 7: Since you can choose the image, tap the video you want to edit and tap “Create it now”. Since you can select multiple images at the same time, you can also combine the captured images for editing. 8: This is actually the exercise screen. The selected video is displayed in the edit timeline. It seems that it seems like editing with some intuition. 9: If you want to edit the picture, pencil mark on the left side of the picture Here is “edit button”, so let’s tap. 10: On the editing screen, you can freely edit “selected playback time, speed, contrast, brightness, saturation” of the selected movie. 11: When completing editing and then moving on, tap “check mark” at the bottom right of the screen. 12: By tapping the button between scenes and scenes, you can also select the transition “Production of transitions” between shots. 13: Also, if you want to rearrange the image layout, you can move the movie by “long-pressing” the scene you want to move. 14: By tapping “note mark” on the left side of the screen, you can select a variety of variations. 15: If you want to combine various music more, you can select more genres of music by tapping “Other Music”. 16: Various filters can be applied to the image by selecting the “filter button” of the musical notation mark. 17: Completed | When you finish editing the movie, tap the “Finish” button on the upper right to complete the movie. Final Cut Pro X and Moviemaker can not create and edit full-scale videos, but you can edit videos really easily and share them instantly just by using the mobile device used for shooting. It is a fairly useful function, so it is recommended that you can master it.